Can We Just Make Europe’s Forbidden Cars Ourselves? 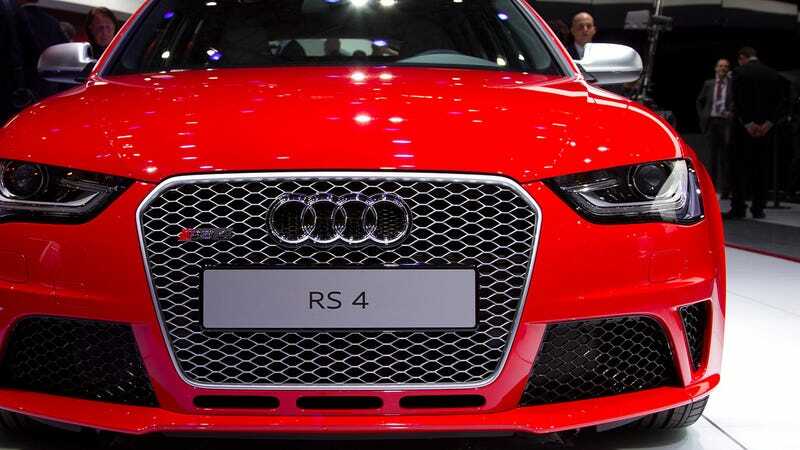 We have detailed very acutely how much we want cars like the Audi RS4 Avant and the VW Golf GTD to come to America. But why? Can't we make these cars here in America? This question came up as we continued to long for the lovely Golf GTD, a car that we drove and deeply enjoyed. Automatch specifically wants a very Jalopnik-approved fantasy vehicle, a GTD version of a Jetta Sportwagon. I want a manual, diesel, wagon. I know that is asking a lot but you already have one. But I want one that doesn't take a month to get to 60. Could you please use the GTD motor in the next gen Jetta Sportwagen? Thank you for tuning into another episode of-" Automatch Rants About Wagons"
Manual diesel wagon? Preach it, brother. Wait, Turbineguy has an interesting critique. I don't think an extra 22lb-ft will make a huge difference. If you want extra oomph, and are buying a manual anyway, the aftermarket can tweak up the TDI's power. What turbineguy said, there are plenty of people who can tune the TDI to GTD levels pretty easy. besides, my manual sportwagen really isn't that slow, it feels a lot faster than the numbers suggest. So now we’re wondering about all the tuned-up European models we don’t get. Do we really need to lust after them? How hard could it possibly be to turn a stock Audi A4 Avant into an Audi RS4 Avant through one of our country’s many tuning shops familiar with Audis? It’s not like the specs are secret, either of the internals or of the bodywork. Why should we moan that we never got the BMW E46 M3 CSL when anyone can strip weight out of a regular old M3, tune up the engine, and line the bottom of the trunk with cardboard if they want to? In the end, do we really need to long for Europe’s forbidden performance car fruit?